There have been several recordings of this score, but we’ve been waiting for a complete one for a long time. I have good news; it’s finally here! This two-disc release has too much talk for my taste, with long pieces of dialogue (I guess they probably recorded the entire show), but we can always “cut” some of those tracks. Others are mixed with the songs (“The Touch of Your Hand” or “Clementina” for example) and we can’t do it. I would have preferred a music only recording, but even so I’m happy with this one. The show opened on Broadway in 1933 and the score by Jerome Kern & Otto Harbach is a rich one, which includes what I think is the most romantic of all songs: “Smoke Gets in Your Eyes”. Here, Annalene Beechey beautifully sings it and it’s irresistible! Other favorite of mine is “Let’s Begin”. I always liked Kim Criswell; here she’s a little bit over the top, but she delivers “I’ll Be Hard to Handle” with humor. Diane Montague give us the melancholic “Yesterdays”. Among the cast the one who sounds like the songs were written for him is Jason Graae; just listen to his rendition of “You’re Devasting” and “Don’t Ask Me Not to Sing” or his duet with Criswell, “Something Had to Happen”. 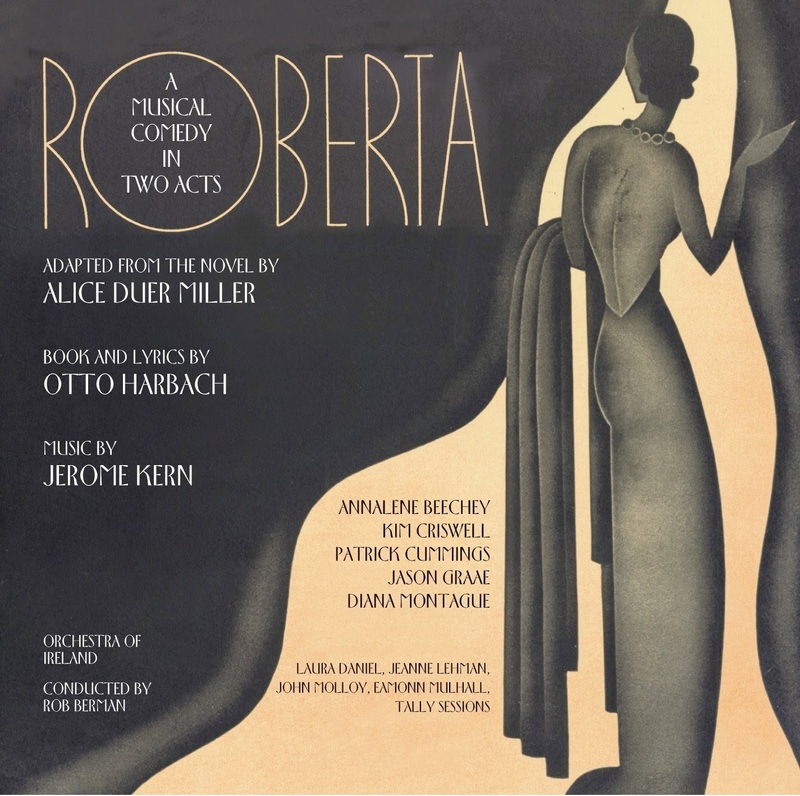 The recording also includes two songs not written for the original production. One of them, “I Won’t Dance”, is one of those songs that I simply love. 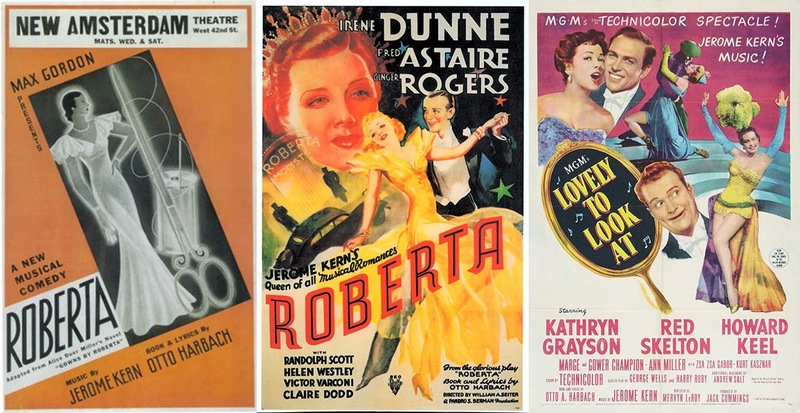 It was written for the show THREE SISTERS and added to the score when RKO did a movie version of ROBERTA starring Irene Dunne, Fred Astaire and Ginger Rogers. The other one, “Lovely to Look At”, was specially written for that movie and was also used as title of the 50's movie adaptation by MGM. The best thing about this recording is the lush orchestrations by Robert Russell Bennet, under the supervision of Larry Moore, played by the fabulous Orchestra of Ireland conducted by Rob Berman. This and the unforgettable songs by Kern & Harbach make this a must for any musical lover.